SIX PLANS TO CHOOSE FROM WITH THREE OPTIONS PER PLAN GIVING YOU UP TO 18 CHOICES FOR YOUR NEW MINI LODGE. THESE ARE ALL WELL CONSTRUCTED ON SOLID PIER FOUNDATIONS. THEY ALL HAVE THAT "HUNTING LODGE" FEELING. IF YOU CHOOSE THE SIDING OPTION YOU CAN HAVE SMART SIDING, HARDI PLANK SIDING, CYPRESS SIDING OR LOG SIDING. 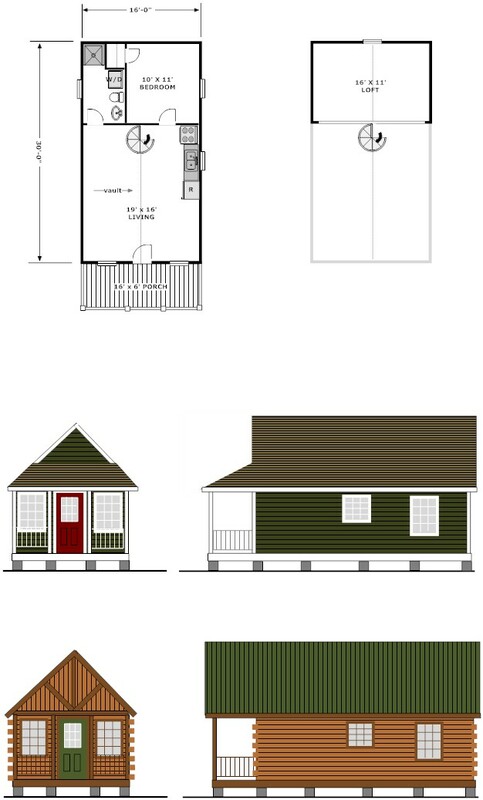 800 sf living - This is actually the largest in total sf of the Mini Lodge series due to the full 40' front porch. Simple in design, yet spacious enough for all of your friends and family. This cabin boasts a vaulted ceiling and two large bedrooms. It could be a great starter or retirement home. Or, the perfect getaway for sportsmen or city dwellers alike. 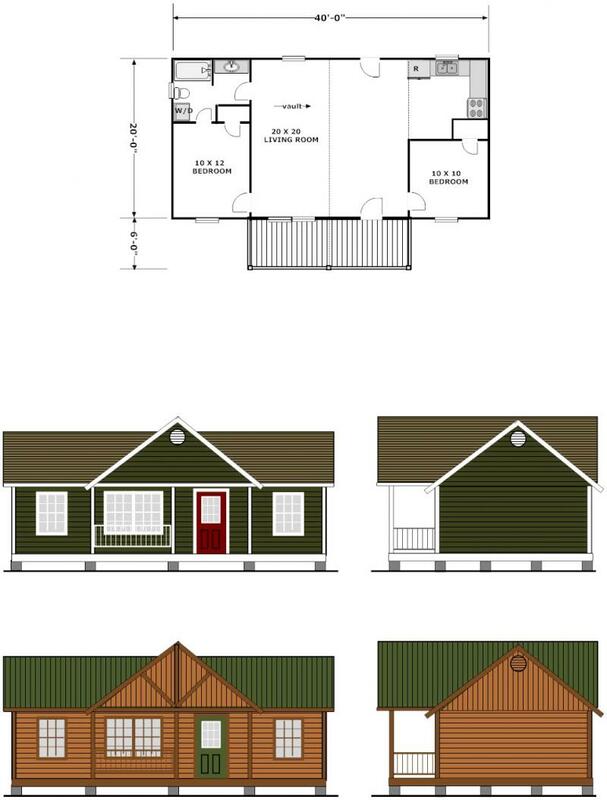 800 sf living - The final of our Mini Lodge plans is the Eagle Point III. While 800 sf of heated area may not sound like much, the massive vaulted ceiling in the great room gives a much larger feeling as you walk in the front door. Two bedrooms flank the great room and each has ir's own closet. The kitchen is tucked away out of sight but is big enough to hang out in while cooking your wild game on a chilly fall evening. The large bath has a combo tub/shower and space for stackable washer/dryer while boasting two entries from the living area and master bedroom. This one is too good to be true. BUT, it is true!!!!! The prices are for the above six plans as you see them. 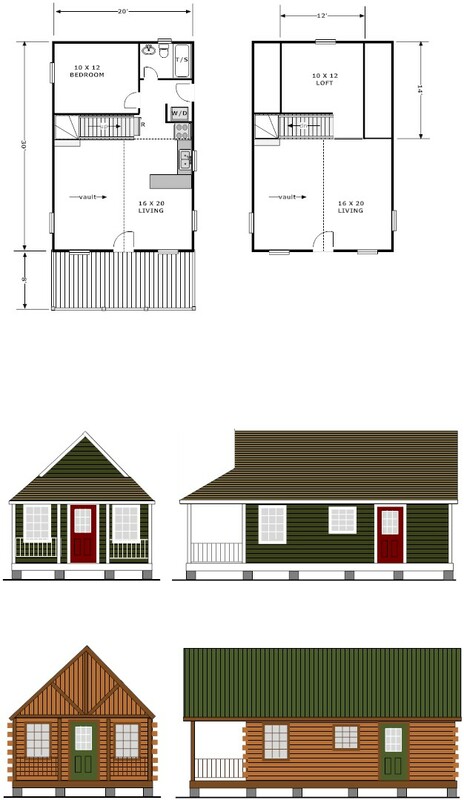 Any deviation from these plans are subject to change order fees of a minimum on $2500.00. 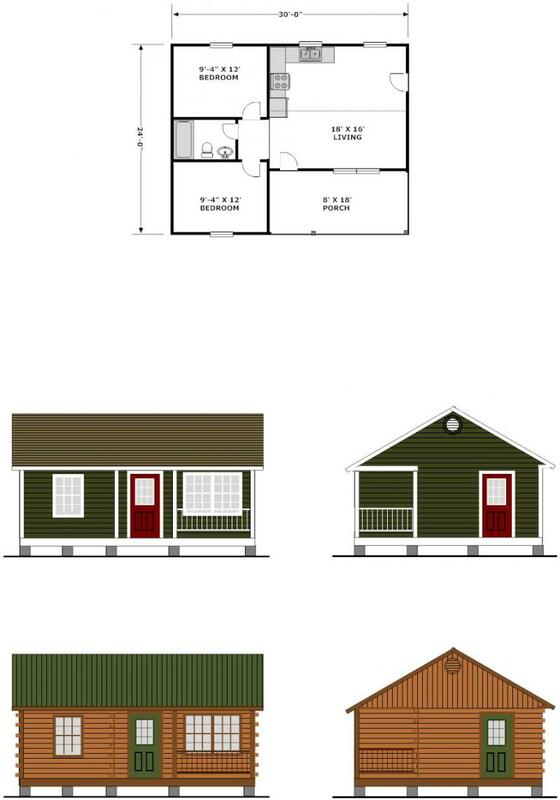 Prices may vary depending on location of cabin being built and condition of building site. 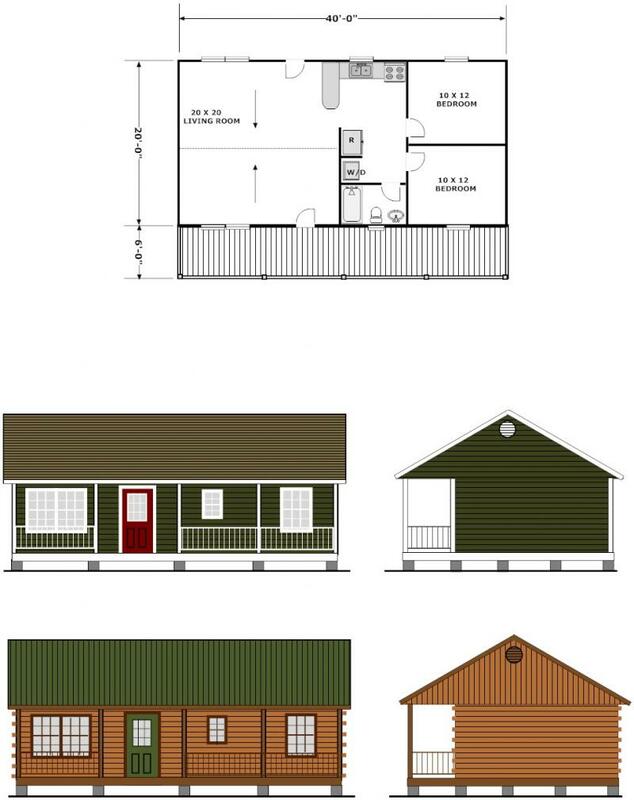 Owner is responsible for preparation of site to be built on, acquiring any building permits and fees, arranging any inspections required and securing builder's risk insurance. Shells are available anywhere in the state and in some locations in adjoining states. 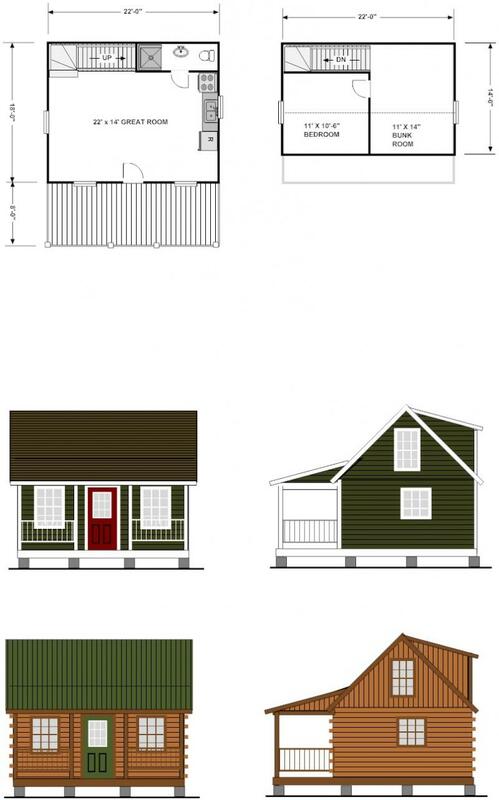 A great way to save money is to get the cabinshell built and you arrange for sub contractors or finish it yourself.